There’s literally a sangria for every season (no complaints here!) 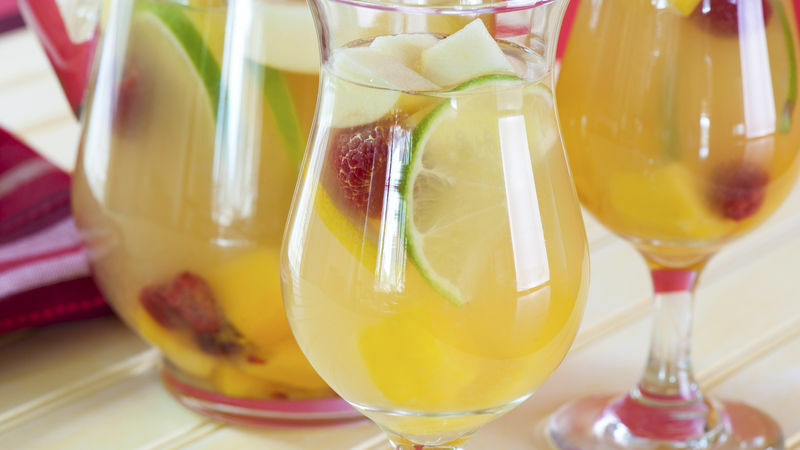 During the colder months, there’s the traditional Spanish sangria that’s made with deep, red wine and warming brandy, and when the weather heats up, this refreshing white wine sangria made with bright, lemon-spiked vodka is the perfect cool-down drink. When it comes to mixing up a pitcher of sangria really, anything goes. Experiment with an assortment of fruit combinations and try out different inexpensive wines. That’s right, the best part about this ingenious cocktail is that cheap wine tastes just as good as good the pricey stuff so no one will tell the difference. Win. For more party-ready cocktails, click here.